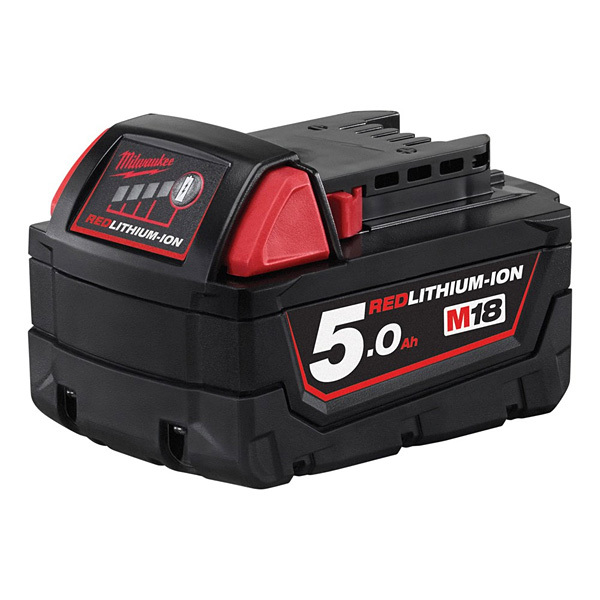 Why is the Milwaukee M18B5 5.0Ah red Lithium-Ion Battery better than all previous M18 batteries? The answer fits into three words: more run time, more power and more recharges. You will like how this Milwaukee M18 battery is highly performant. Enjoy an up to 2.5 times more run-time, an up to 20% more power and an up to 2 times more life (total lifetime output). Thanks to years of innovation, the Milwaukee M18 battery has been upgraded concerning its effective thermal performance. Indeed, it runs 20% cooler, providing longer battery life and delivering additional run-time in high draw applications. Also waterproof, the battery is now able to route water away from critical components, extending the life of the pack. Electronics are fully protected by a coating of high-quality. The pack protection has been upgraded with shock responsive separators absorbing vibrations during high impact applications (Sawzall, HTIW, etc.) and drops. 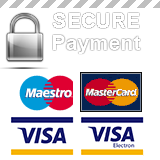 Thanks to a single piece cell carrier, the cells are fully secured. Most important, the whole range of Milwaukee M18 battery is designed to be compatible with all M18 cordless tools in the Milwaukee range.